This salad is by far the best herring salad I have made so far. Ingredients are very simple and on top of that it does not take a half a day to prepare it. Most important of course is choosing right herring for the salad. I usually buy the herring in either local Polish store or my local supermarket. This time I went for 13 oz jar that contains some onions, water, distilled vinegar, sugar, salt. Rest of the ingredients are easily accessible. 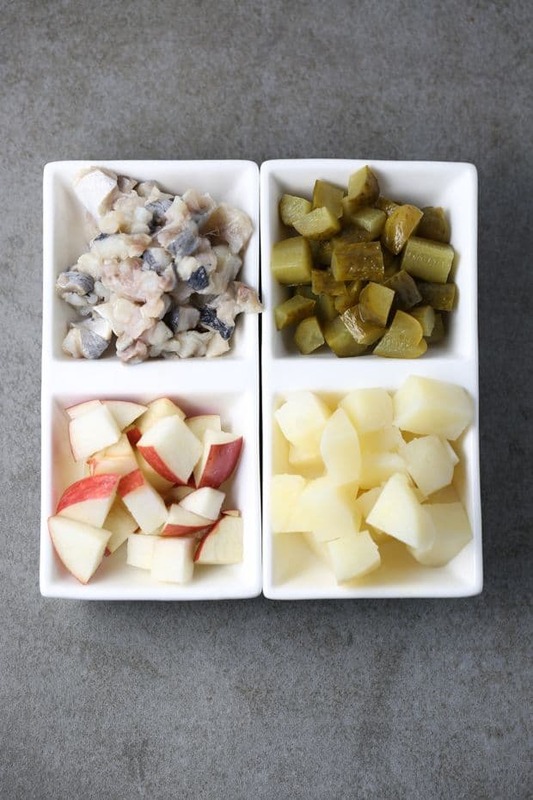 Dice all ingredients, pickle, potato, apple, onion and herring into small cubes. 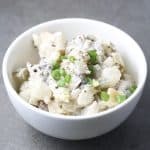 Greek yogurt sauce goes fantastic with this herring salad, plus it is healthy. Add mustard to it and a pinch of black pepper. Last but not least combine everything and mix it well. Serve cold and enjoy! 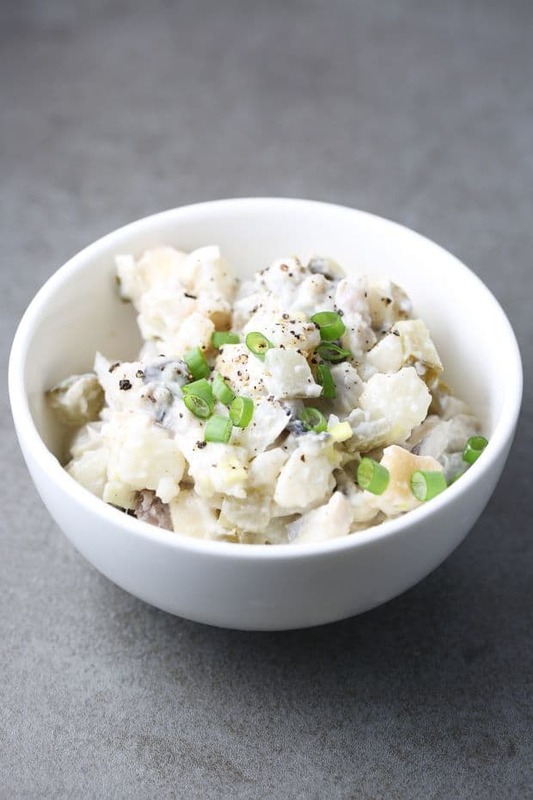 How to make herring salad? Nothing more easier to do, just follow these simple instructions below. 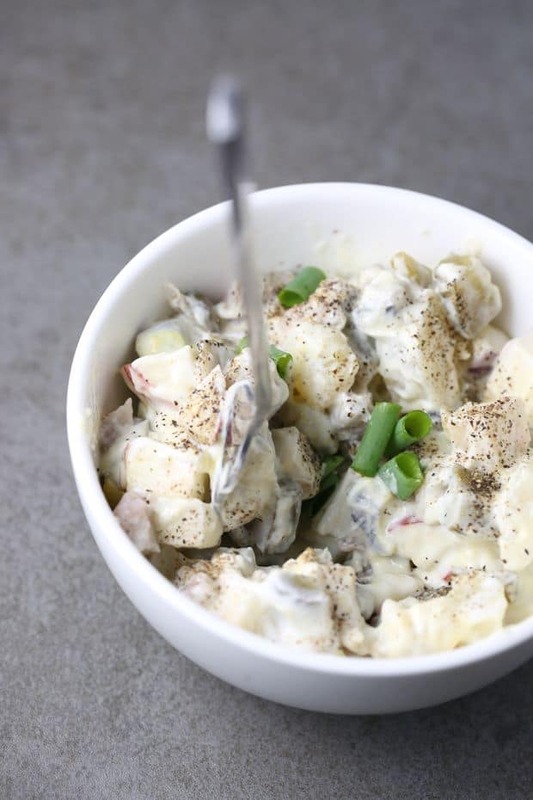 This tasty herring salad recipe features Greek yogurt, apple, pickles, potato and a few other yummy ingredients. It's very easy to make and the most important, it is just delicious. Take the herring out of the jar and wash thoroughly. Dice into small cubes, smaller you dice then better. 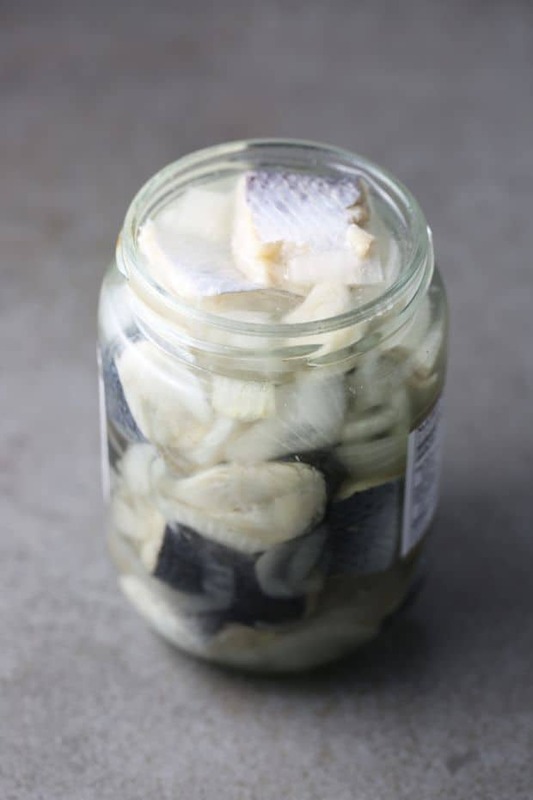 If herring is too salty, you can soak it in water with a bit of milk. Peel potato and boil. Cool it down before you dice it into small cubes. **TIP** don't over boil the potato it will be much harder to dice it. Dice apple and pickles into small cubes. 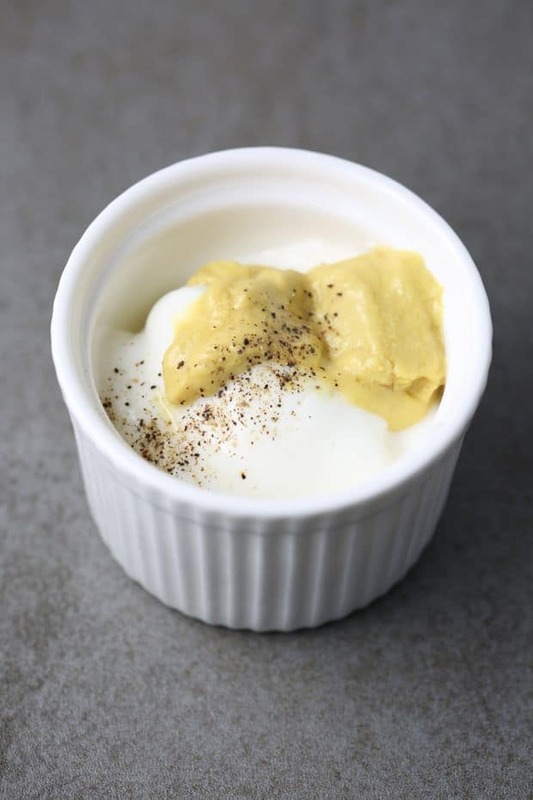 Mix Greek yogurt with mustard, salt, and pepper. Combine all ingredients with it and keep it in the refrigerator for about an hour. Garnish with diced scallions and enjoy! I am not a huge fan of herring myself but this salad looks pretty interesting!